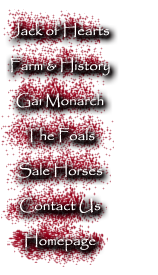 Thank you for visiting our website and your interest in Gainey Arabians. We welcome your input and request for more information. Please contact us for more information.